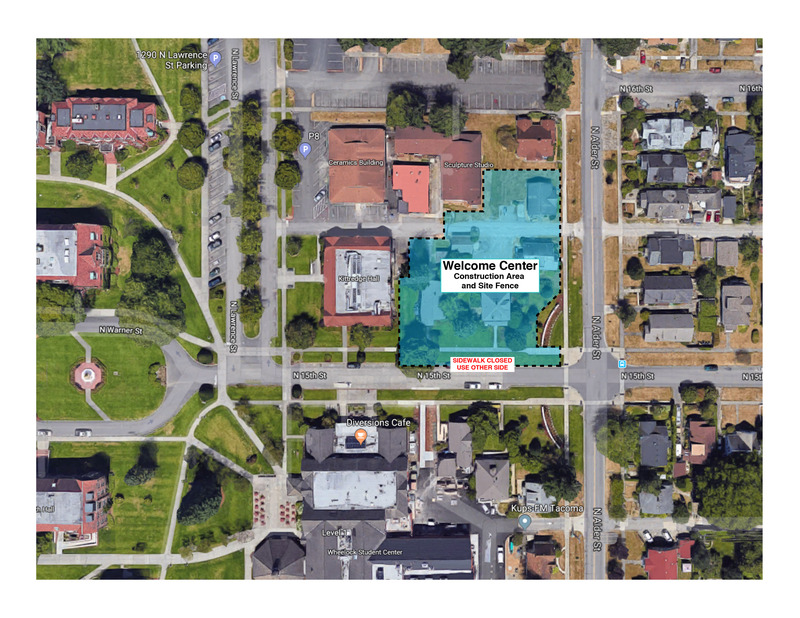 Get a 360 Degree View of the New Welcome Center! We’re seeing a surge of interest in Puget Sound from prospective families: more visitors, more applicants, more students arriving on campus excited about the Puget Sound experience. We want to seize this moment. 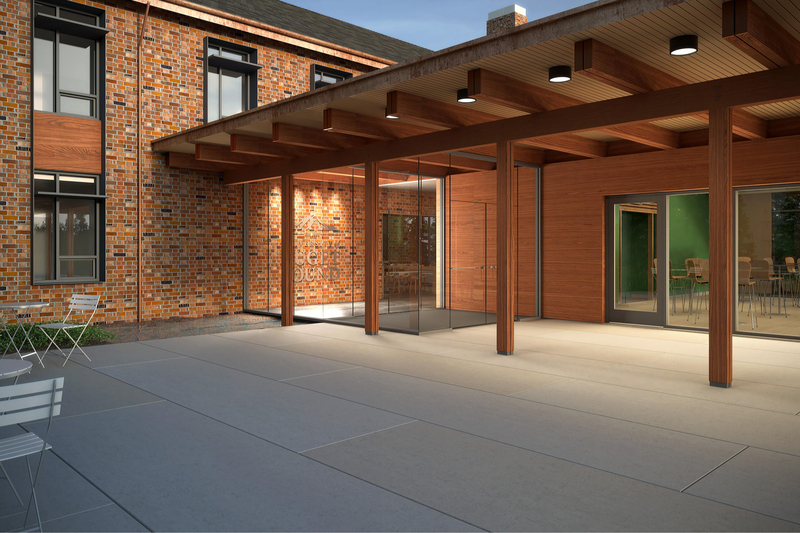 We are building a Welcome Center for prospective families that is as warm and open and forward-looking as Puget Sound itself. 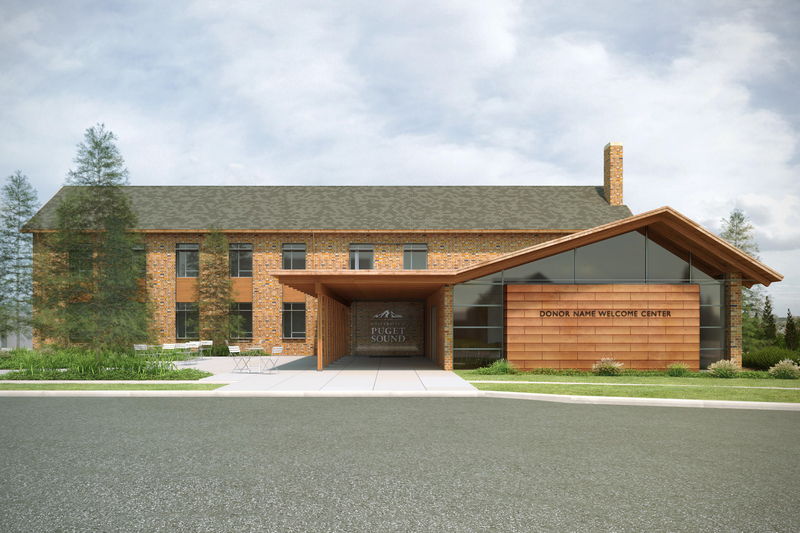 The new Welcome Center will be an inspiring point of entry for prospective families—a bold, lasting first impression. 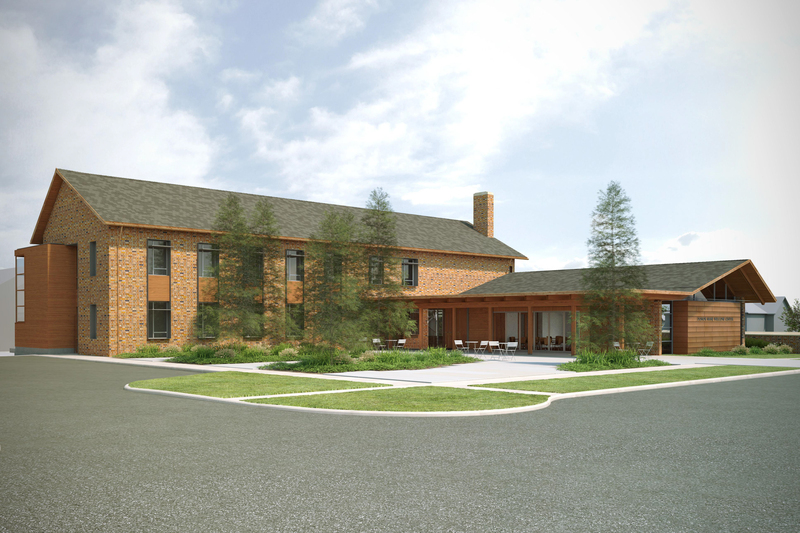 It will also serve as a contemporary, high-functioning home for our hard-working Office of Admission. The construction office for this project is located at 1514 N. Alder. This house will be used for other purposes following the completion of the Welcome Center. Construction will begin in February 2019, and take 12-14 months to complete. 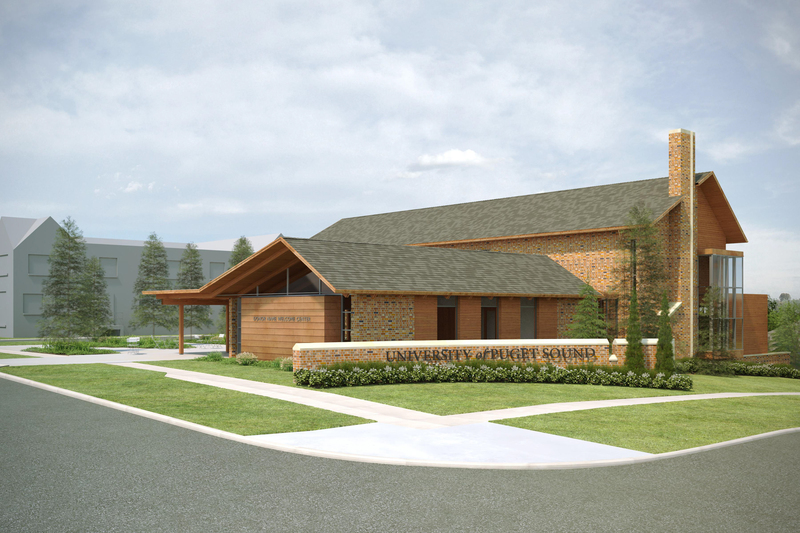 After completion, the Office of Admission will move into the new space.